Microbial preservative efficacy assays (USP, CFTA, ASTM) are routinely performed on pharmaceutical, cosmetic and industrial chemical products. Special emphasis is placed on inoculum development and techniques applicable to product inoculation with the aim of achieving OPTIMAL uniformity in product organism mix. 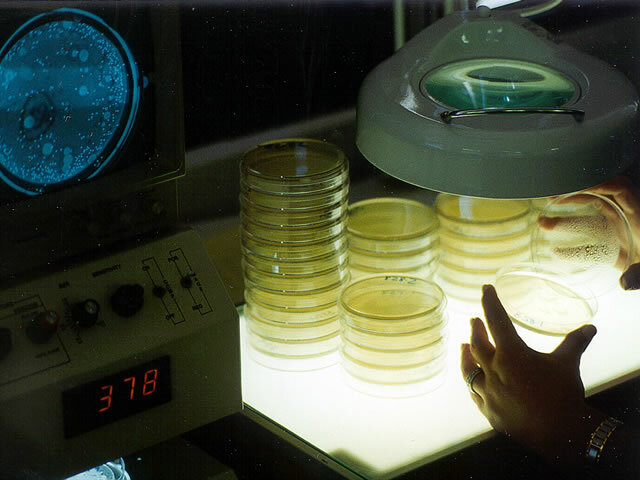 Minimizing ORGANISM PHASE VARIATIONS and CURTAILING the possible formation of microbial aggregates in the challenged PRODUCT contribute to the development of more accurate organism response profiles.Improved recovery media are utilized in order to maximize microbial recovery rates throughout the challenge period. These measures result in the generation of highly reliable organism viablity profiles which, in turn, are utilized to establish the overall preservative response. Additionally, we have enhanced the basic compendial protocols to include,as applicable, short term count interval(s). This gives our sponsors the extra information needed to make better product performance evaluations. Because efficacy of preservation, for the most part, is a predictive assay, i.e., performance is extrapolated from reduction profiles generated with reference organism strains, we have always encouraged testing actual product isolates to augment the required compendial battery or organisms. All preservative studies conducted at Micra are fully validated to assure adequate neutralization during the the designated recovery intervals.